The best way to introduce the basic features and functions of Insight is through a practical hands-on demonstration. Luckily for you, we provide a sample dataset which you can use to experiment and play around with. Simply download the sample data and load it into Insight by following the steps below. Click the Sample Data section. Click the 3D Project or 2D Project to download a zip file of the 3D or 2D sample dataset respectively. Decompress the zip file and save it to your computer. 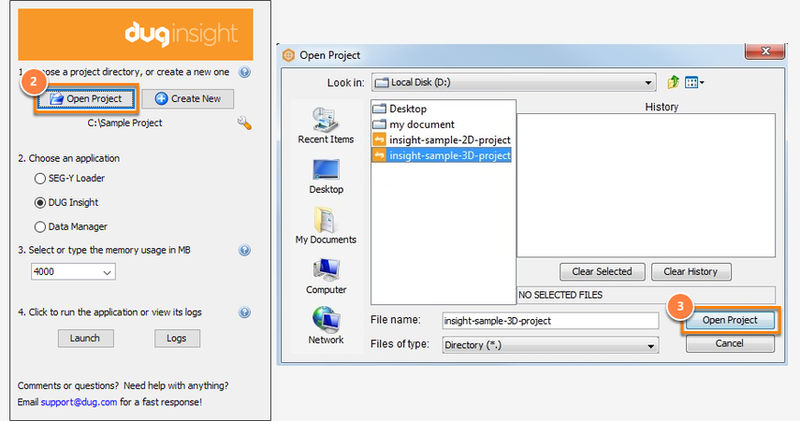 By default, the directory should be called "Insight-sample-2D-project" or "Insight-sample-3D-project". Select the sample project directory and click Open Project. 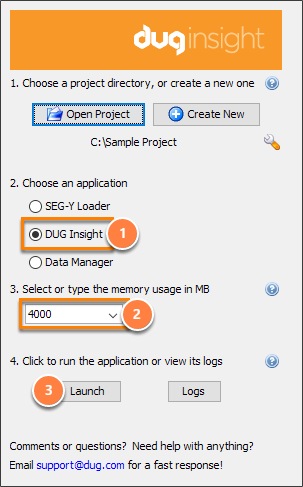 After selecting the sample project, select DUG Insight as the application to launch. Type or select the amount of memory that can be used by the application (see Allocating Memory). Click Launch to run Insight. 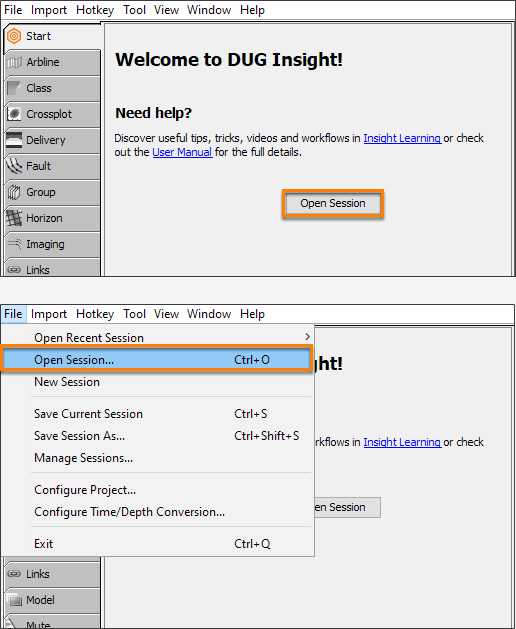 In the Control Panel, click Open Session on the Insight Start page. Alternatively, expand the File menu and select Open Session. 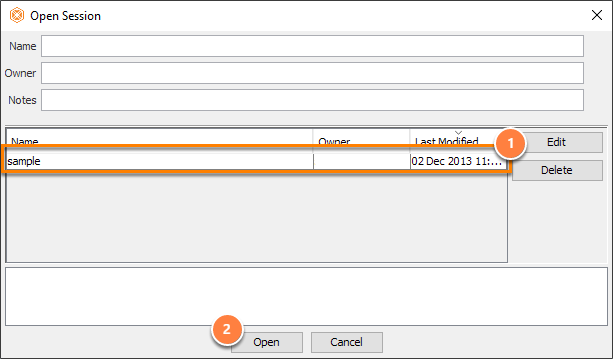 In the Open session window, select the "sample" file. Click Open to begin exploring the sample data. Not sure where to begin? Watch our Inside Insight videos to learn insightful essentials, and discover hundreds of fantastic tips and tricks.